Simply enter the coupon code in the coupon code box on the shopping cart page. We are sure that once you make your first online purchase with us, you will want to make us your preferred online provider for all your compression therapy needs. Please Note: Some product discounts will be deducted from the price of other items in the cart and/or shipping costs as per manufacturer requirements. Lymphedema is considered a "high-protein edema." These proteins collect in the tissues of the swollen area and can only be removed by lymphatic vessels. Decreasing dietary proteins will only make lymphedema worse so it is important to continue eating plenty of protein-rich foods. It is important that the edema is at its most reduced state. Most often this is found first thing in the morning or at the end of treatment. Length measurements should be taken at each circumference. It is recommended that you mark the leg with a non-permanent, non-toxic marker at each circumference measurement made. The length measurement is then taken even with the floor, along the inside of the leg, up to each circumference point. 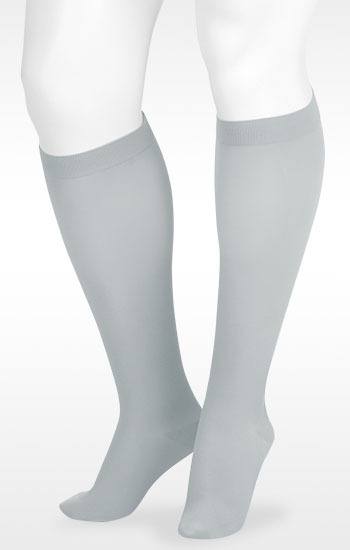 The Juzo DreamSoft 2000 Series is a premium compression stocking. It features an extremely soft and elastic knit that offers unsurpassed wearing comfort. Juzo 2000 DreamSoft stockings are available in a variety of fun seasonal colors and come in a large assortment of sizes. Please Note: Colors other than Beige may delay shipment 3-10 business days. This product has 26 reviews with an average rating of 4.7 stars.